Curious about colors? 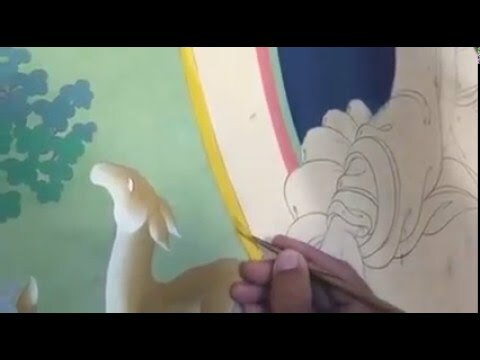 In traditional Tibetan art, the colors for different Bodhisattvas and Buddhas are not arbitrary, but clearly defined in written instructions that date back hundreds of years. Look through the albums below to find their traditional color ways. Visit Tashi’s page on Pinterest to see more! It takes a steady hand and years of training to work with traditional mineral pigment paints. 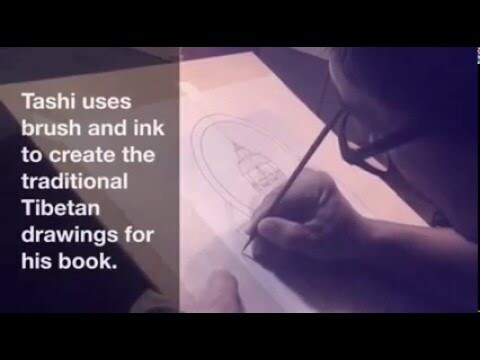 Below are videos of Tashi painting different areas of the thanbhochi.